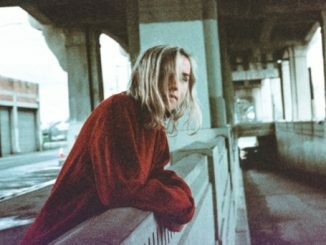 The Japanese House (the project of 23-year-old singer/songwriter/producer Amber Bain) first came to public attention back in 2015 when Zane Lowe selected “Still” from her debut EP “Pools To Bathe In” as his last ever Hottest Record before leaving BBC Radio 1. Bain was just 19 at the time and not much was known about her. Her mystery was not intended as such but came from a desire to work out who she was as an artist. It so happened that being accidentally enigmatic on her arrival piqued public interest – listeners wanted to know more about the person behind the secretive androgynous vocal and warped, inventive electronica. The Japanese House’s rise since that important radio acknowledgement has been steady and impressive and there has been quite an output of excellent material – she has, to date, released four acclaimed EPs: “Pools To Bathe In” (2015), “Clean” (2015), “Swim Against The Tide” (2016) and 2017’s “Saw You In A Dream”. 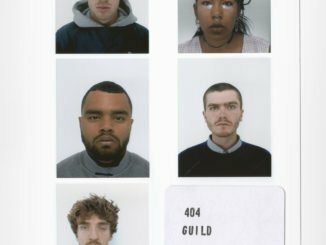 Bain has played in arenas across the UK, including the 02 with labelmates The 1975 – (in fact, frontman Matt Healy and drummer George Daniel co-produced some of her work along the way) and found herself landing a spot on the prestigious BBC Sound Of 2017 Longlist. 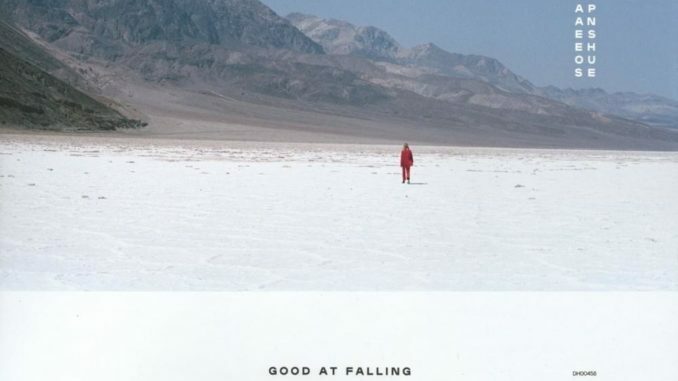 Eighteen months later and her debut full-length album “Good At Falling” is set for release. This has to be one of the most anticipated debut albums of 2019. The record was produced by Bain herself, BJ Burton (Low, Bon Iver) and George Daniel and recorded between Angelic Studios in Oxford, ICP Studios in Brussels and at Justin Vernon of Bon Iver’s rural studio in Wisconsin. Bain had recorded demos for each song in her London home and she has been debuting material from “Good At Falling” on her acclaimed recent UK tour which included a sold-out date at London’s Scala. 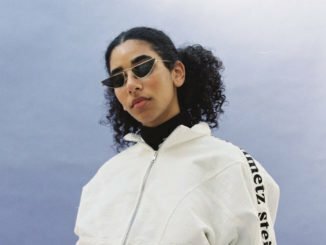 During the making of the record, Bain suffered a personal upset – the breakdown of a long-standing relationship with her girlfriend which exposed an emotional vulnerability. Creatively, she found strength as a songwriter and ultimately emerged a stronger person with a confident body of work and admits she wouldn’t have been able to express these emotions quite so candidly a few years ago. “These songs are definitely more direct”, explains Bain “the album has a lot more of me in it so it makes sense”. The song explains the album’s title too as Bain states: “The song is a reminder to me that I am good at falling in love and I can survive falling out of it. I’m good at falling.” “Everybody Hates Me” is a sonic curveball –saturated with heavy synth bass accompanied by repeated simple piano patterns – it’s an unlikely fusion but works really well. In fact, the following three tracks are further proof of Bain’s versatility in producing and experimenting with constantly varying sounds. “Marika Is Sleeping” starts slowly with slow, futuristic, layered vocals before a groovy guitar riff takes the song into a completely different vibe – cool, almost tropical and totally lush before it slows down again with the pluck of harp-like strings. “Faraway” is an intriguing ballad with a celestial, heavenly feel, like an out of body experience, of losing control of your feelings: “She makes me wonder why she makes me wonder what I’m doing?” It’s oddly reminiscent of The Carpenters’ “Calling Occupants of Interplanetary Craft (although I may be the only person to cite this). The album closes with a previously released track “I Saw You In A Dream” which was the lead single from the 2017 EP of the same name– but this isn’t an album filler – it’s an acoustic version and deserves its place on the album. It’s a song about loss – Bain sings about a dream where she saw a friend who had passed away. She wants the dream to go on as long as possible, to preserve the moment – until she wakes up: “When I’m awake I can’t switch off It isn’t the same but it is enough” It’s hazy, harmonious dream pop but Bain’s layered vocals give it poignancy, depth and emotion. The Japanese House has crafted something really special here – Bain is one of the few artists around who is doing something truly new – undeniably unique. “Good At Falling” is released on Dirty Hit records on March 1st.